On December 17th, following Sunday Mass, parishioners convened their first meeting, and elected a committee to help the pastor with the parish’s affairs. The initial members were: Boris Gregoryj, Paul Dubas, Leo Ivashchuk, Wasyl Kozak, Mykhaylo Kosiuk, Alexander Lysyuk, Peter Rogal, Constantine Telishevskyi, Wasyl Shevchuk and Rudolf Schmidt. The committee elected Mr. Kostya Telishevskyi as its first president for his great organizational skills and zealous work. 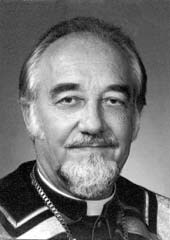 The committee, together with Fr Michael Hawryluk, began fundraising among the parishioners and looking for a plot of land on which to build the church. Two properties were bought – one from private owners, and the second from the municipality. The first property was soon re-sold for a good price once it was decided that a large church building would be built on the other property. Expert builders were brought in, including master builder Mr Volodymyr Postryhach, at a meeting held on May 21st, 1954. Members of the building committee included: Postryhach Volodymyr – Chairman, Telishevskyi Kostya – Deputy Chairman, Danylevych Yaroslav – secretary, and counselors – Shmytd Rudolph, James Kaminsky and Kosiuk Vasil. They went to work right away. The committee’s Chairman took care of finding the architect, Mr Paul Émile Lapointe, who devised the building plans. Actual building of the structure was entrusted to general contractor Mr. Stephen Sura. The land was consecrated after almost four years from the founding of the parish, on June 6, 1954, with many priests and faithful in attendance. Following the consecration rites, a dinner was held in the parish hall of St. Michael the Archangel church on Iberville with the participation of delegates – representatives from other parishes and national organizations, and faithful. The foundations for the church were started in September 1954 and completed, but due to inclement weather in late autumn construction was postponed to the following Spring, in April 1955. Many people watched the building going up and assisted in its quick progress. The solemn consecration of the cornerstone took place on September 25th, 1955 by His Excellency Isidore Borecky with many priests, parishioners and guests on hand. With the outside completed, the entire winter season was spent finishing the interior, so that on February 26th, 1956, the opening and dedication of the church hall was held. Three domes and shiny stainless steel crosses were added by summer 1956. Now all attention was placed in decorating the interior with all that is needed to celebrate Holy Mass. 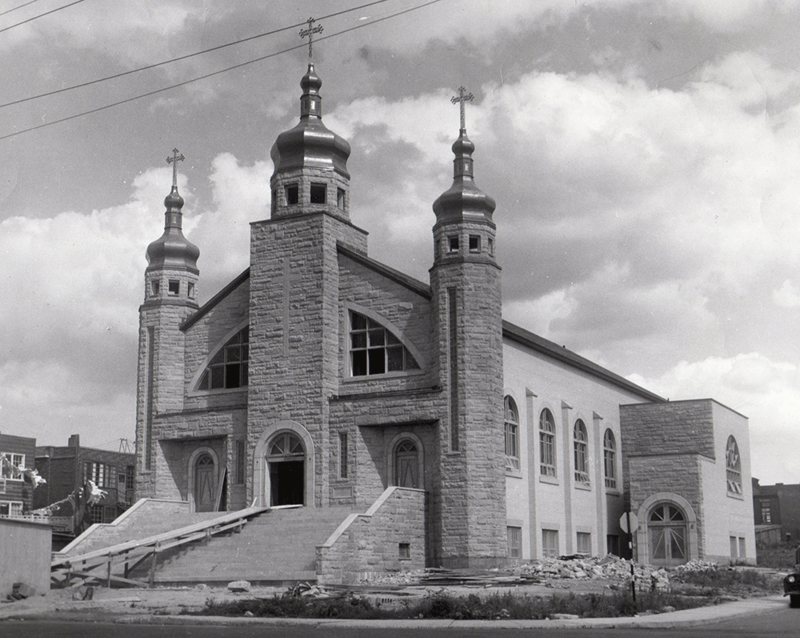 The first Divine Liturgy in the newly built church was celebrated on Christmas Day, January 7th, 1957, followed by the solemn consecration of the church by the Bishop for Ukrainian Catholics in Eastern Canada, His Excellency Isidore Borecky, on 26th May 1957, with a large attendance from the community.